TotalJobs needed a PDF ebook design to present the findings of a survey of HR professionals that they’d conducted. 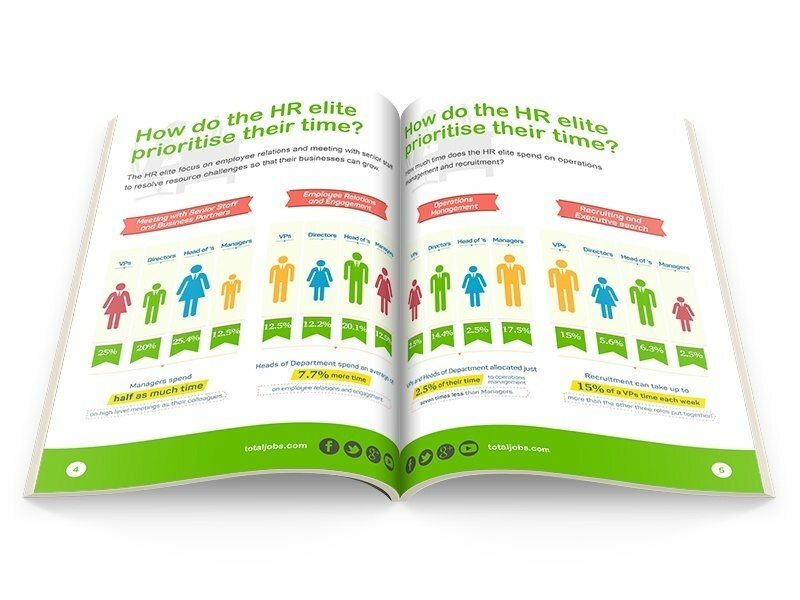 The focus of the document was on the ‘HR Elite’ and they received input from a host of well known organisations including L’Occitane and Samsung. TotalJobs wanted a fresh and colourful feel that could present the sometimes complex data in an easy to digest and visually pleasing format.